Thank you for always reading our journal. 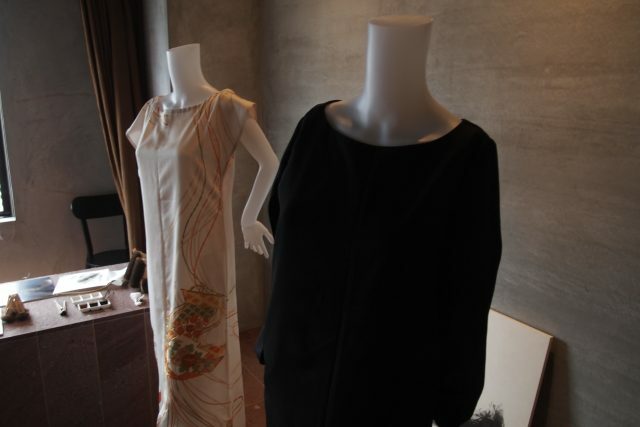 Recently, there was an exhibition of Kimono, a type of the traditional Japanese clothes, at our suite room 501. 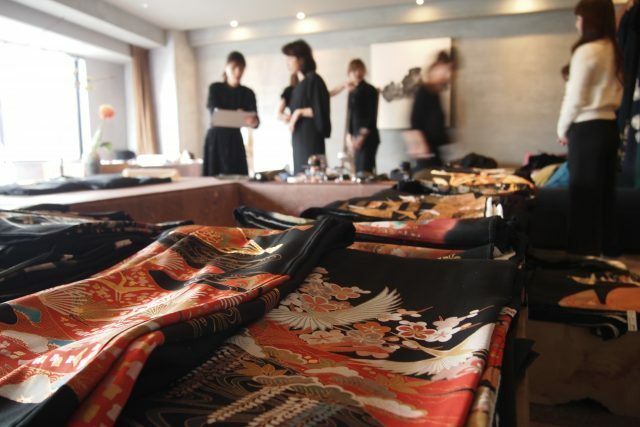 This event was designed by Yoshie Kitagawa, to spread and share the profound quality of Kimono and discover its true concept and spirit as well as to let us know that this is something very familiar to us. Kimono dresses are also called japanese style dresses, but they reuse cloths of kimonos and remake them into dresses. 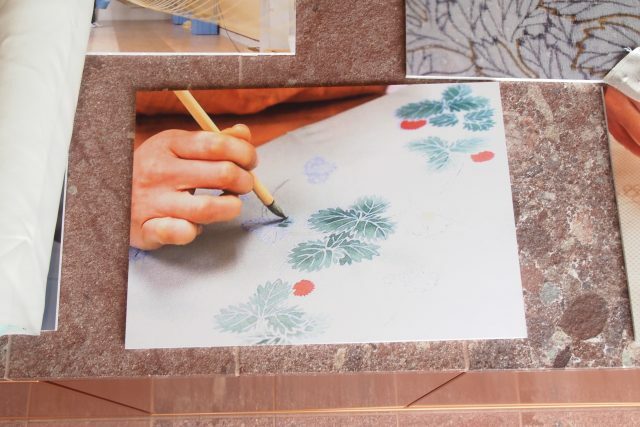 Many people including kimono craftsman, as well as designers, are involved in the process, and we are struggling day by day to inherit Japanese aesthetic sense and traditional culture and technology. 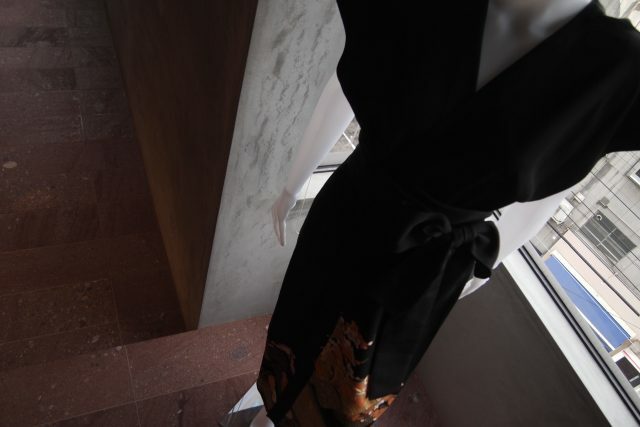 Craftsmen tailor either materials of existing Kimono or newly ordered materials to Kimono-dress. The procedure is done by hand and there are a variety of unique forms and designs available on request. 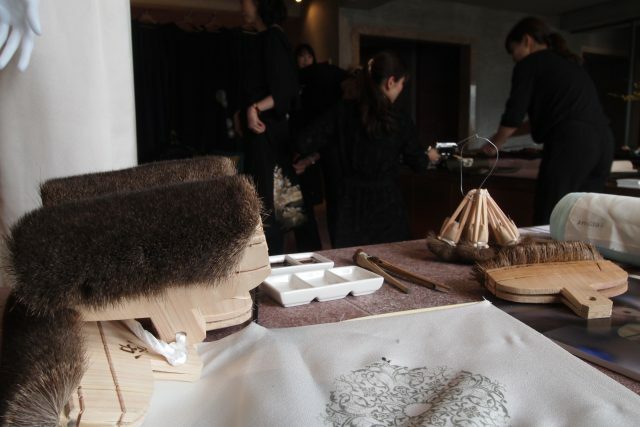 This new form of Japanese craftwork will let you experience the aesthetic appeal of Japanese culture and tradition.